Get amazing architectural designs and plans with highest salable area. Best designs which will provide u better financial benefits. 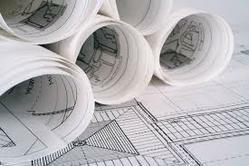 Architecture Designing and Plan Sanctions. An architectural plan is a plan for Architectural , and the documentation of written and graphic descriptions of the architectural elements of a building Project including sketches, drawings and details. Our creative and innovative designs not only cater to the requirement of organizations across Indian cites but also add up to deriving the best out of people working under our emcuted roofs. It provides comprehensive Architectural and Engineering Design services for Residential, Commercial & Industrial buildings including High-Rise buildings and Undertakes landscaping and Interior Design work. It also handles preparation of comprehensive plans for new Townships, Housing colonies and Industrial Complexes. Design of House according to your choice. Our enterprise technology architecture solutions helps organizations chart the future of your business and technology operations. We can work with you to identify how technology will enable your organization to deliver on its business strategy.